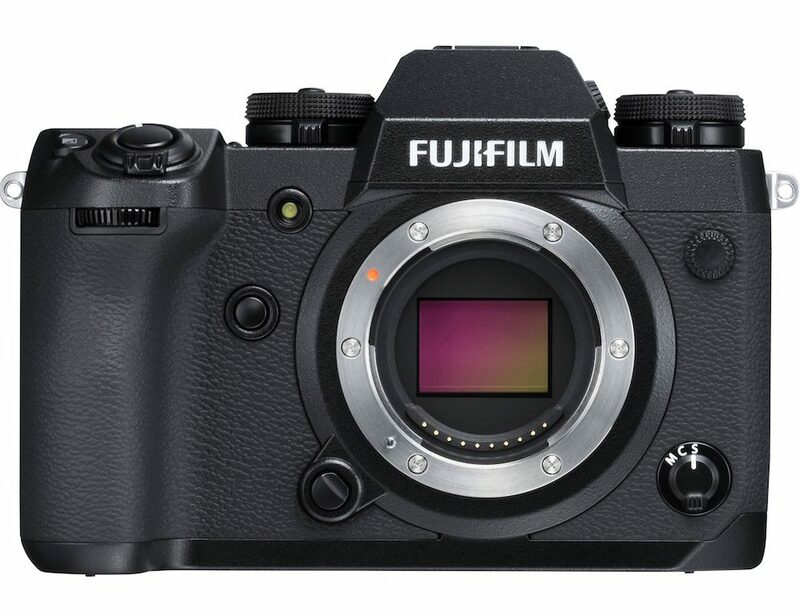 Shutterbugs have been whispering about a new mirrorless Fujifilm camera for some time. The rumoured model was said to be called the X-T2S, and was predictably rumoured to be an X-T2 with racing stripes. As is often the case, the rumour mill was wrong. Instead, Fujifilm’s new mirrorless model has been revealed as the X-H1. 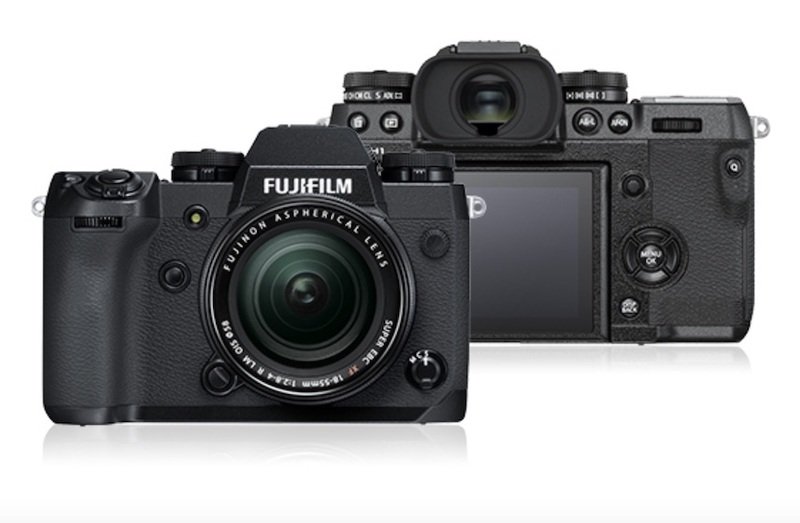 Fujifilm’s elves haven’t been slaving away on a successor to the X-T2, they’ve been focusing on a whole new camera to crown their range of X-series shooters. Perhaps the biggest news is that the X-H1 has in-body image stabilisation (IBIS) and Fujifilm is positioning the X-H1 as a go-to shooter for photographers who want impressive video capabilities. Fuji has also chosen to stick with an “if it ain’t broke, don’t fix it” strategy. 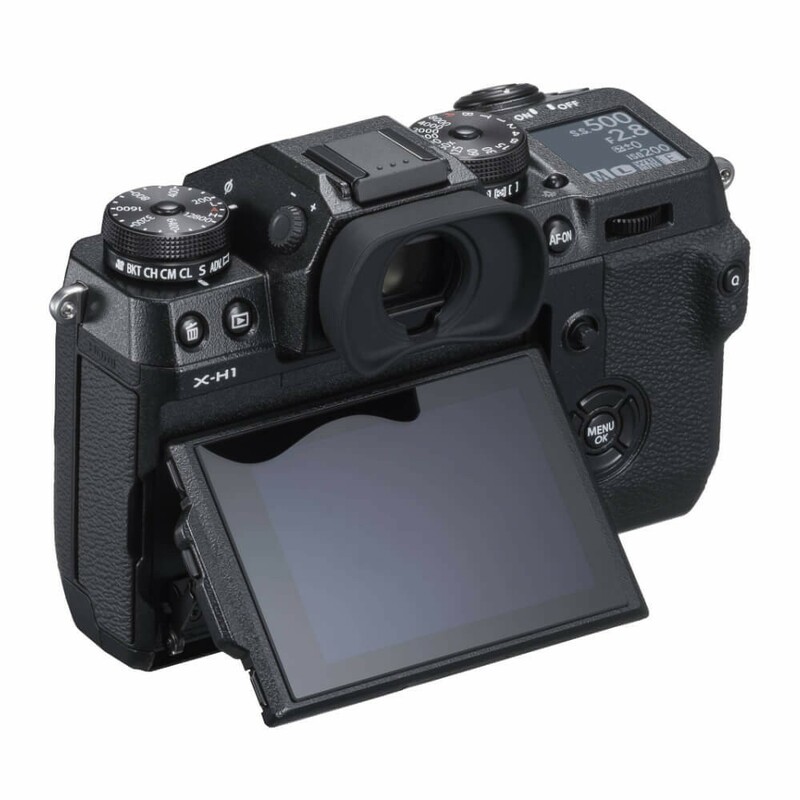 As with their X-series cameras, they’ve kitted the X-H1 out with their in-house developed 24.3-megapixel X-Trans CMOS III image sensor and X-Processor Pro. It provides a sensitivity range from a low of ISO 200 up to 12,800. The image processing silicon baked into the X-H1 also makes it capable of 8fps, and higher speeds if the optional VPB-XH1 battery grip is attached. With the battery grip, continuous shooting speeds get boosted to 11fps (using the mechanical shutter), and 14fps with the X-H1’s electronic shutter. A handy addition that many photographers will appreciate is the continuous medium (CM) mode on the drive dial. With it, users can choose to shoot between continuous low (CL) and continuous high (CH) at 6fps. Staying with all things speed related, shutter lag and startup time are 0.045sec and 0.4sec, respectively. This is marginally slower than early models, but there is a good reason. There’s a mechanical focal plane shutter with a 1/8000sec speed which can get boosted to 1/32,000sec with the electronic shutter. The mechanical shutter is also equipped with shock-absorption to reduce vibration and shake. It’s also a lot quieter than previous Fujifilm X series cameras. Like other X-series shooters, the rear of the X-H1 has a 3-inch, tiltable screen that features touchscreen controls. In use, it seemed a lot brighter than previous models. The electronic viewfinder (EVF) is also vivid, and its refresh rate can be raised from 60fps to 100fps for more vivid viewing. Auto-focus has also been tweaked. There’s a central, square phase-detection region that covers half of the frame width-wise and three-quarters of it height-wise, while outside this area, contrast detection points are used. You can choose between a 91 focus-point arrangement (which consists of a 7 x 13 grid), or a 325-point layout (which is made up of a 13 x 13 grid of phase-detection points and a 6 x 13 grid of contrast-detect points on either side). There is also a host of other focus modes. These range from a single-point, zone, wide/tracking AF and five different autofocus modes (three are user-adjustable). In use, I found that AF shooting was quick and the tracking mode surprisingly accurate, even when zooming. While it isn’t designed for videographers, the X-H1 can shoot stunning video. It can capture 4K/30p 4:2:0 8-bit video recording at a maximum rate of 200Mbps (you can also choose 100Mbps and 50Mbps are available). There’s also support for F-log video recording in 4K and 1080p HD for colour grading. Slow-mo (in HD) at 120fps is also possible. Equally crucial for videographers is audio. To this end, there is a stereo microphone input behind the side door for plugging in an external mic for better audio in noisy environments. Underneath the mic input are a bunch of other ports. These include a USB 3.0 terminal, HDMI output and a remote shutter input. The optional vertical power booster also supports headphones. The big news though is the implementation of an in-body image stabiliser (IBIS). The X-H1 is the first in Fujifilm’s X-series model to come with one. This means that because IBIS is built into the X-H1, older non-stabiliser equipped lenses can be used. The IBIS on the X-H1 operates on 5 axis (it uses a three-axis accelerometer, a three-axis gyro, plus a dual processor). Image correction and stabilisation calculations happen a whopping 10,000 times per second. It makes a big difference with low light shooting by helping to reduce camera shake-induced blurs. It also helps with taking some of the shakiness out of handheld video shooting. Incorporating IBIS meant that the X-H1’s chassis had to be completely redesigned. It might weigh 166g more than the X-T2, but it’s still less than half the weight of many DSLRs. Helping to keep things solid (but light) is a ribbed frame (for your shooting pleasure) and a 25 per cent thicker magnesium-alloy body. It is also weather-sealed and finished in scratch-resistant paint. All told, the X-H1 feels remarkably robust. 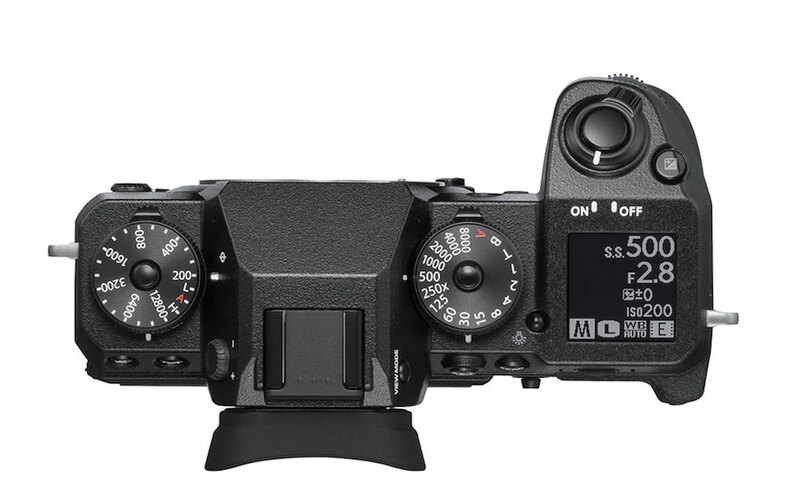 The controls also differ from those in earlier X series Fujifilm cameras. The thumb-driven exposure compensation dial on the corner is gone, the space it occupied now taken up by a small LCD panel that provides at-a-glance information on camera settings. Close by is a shutter button, and the exposure compensation button is nearby. The small LCD setting screen quickly became indispensable. It shows battery level, exposure value and storage capacity – even when the camera is powered off. The rear touch sensitive LCD can also be customised. It has nine tweakable function buttons, and there’s also customisable shortcuts that can be assigned to the screen. In use, it proved extremely handy. I particularly liked how it provided a quick way of checking captured image histograms. The X-H1 is for photographers wanting all the good parts of Fujifilm’s X-series cameras in a more robust body. Having IBIS may make a big difference in use, but the tradeoff is that the X-H1 is perhaps a little more substantial than its earlier siblings. That said, it is still smaller (and lighter) than many high-end DSLRs. In use, it is an impressive performer and, for many photographers, is a capable alternative to many heavier and bulkier DSLRs. Photographers who dabble with video and videographers who aspire to shoot stills are likely to love its flexibility and of course the flexibility of shooting handheld video thanks to IBIS.